Home › Home and Kitchen › Handle For Yeti Rambler 30 Oz - Thethe Tumbler Tamer - Fits Rtic Ozark Sic Th.. Handle For Yeti Rambler 30 Oz - Thethe Tumbler Tamer - Fits Rtic Ozark Sic Th.. COMPLETE COMFORT The new 2016 ergonomically designed handle is wider and contoured to fit comfortably in your hand. The reinforcements ensure that it strongly supports your tumbler. Stays put even upside down! 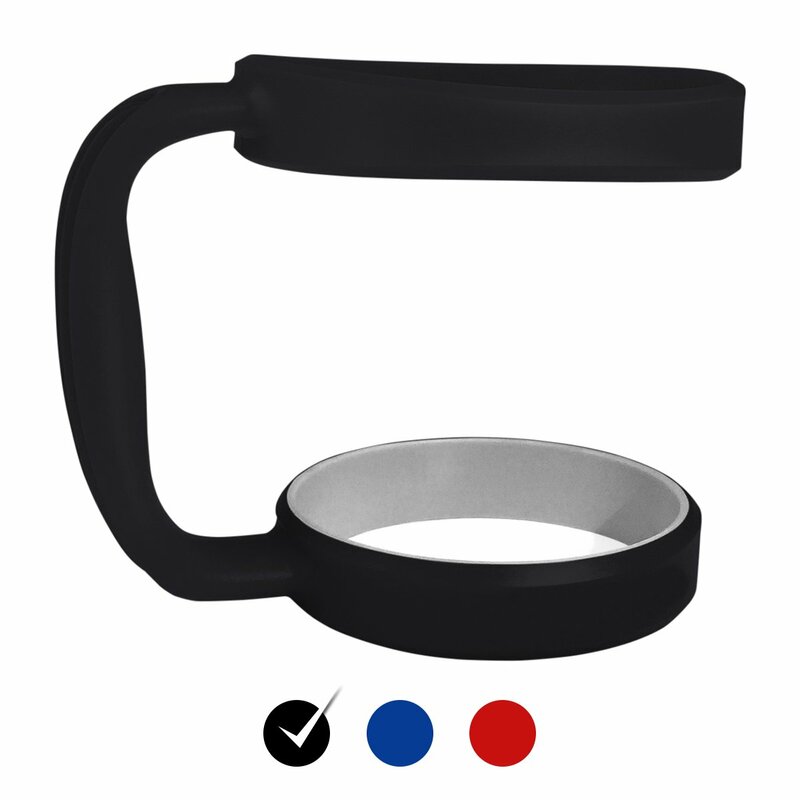 BEST FITTING HANDLES Perfectly fits your tumbler and holds it secure with the rubberized grip ring. No more spills & drops. EASY TO USE - Simple to put on and take off. Just grab and go! Fits most car, boat, & other cup holders. Go enjoy your adventure in style. TOUGH, DURABLE & LIGHTWEIGHT The Tumbler Tamer is built to last but wont add much weight. Made from eco-friendly, BPA free and FDA approved Polypropylene. Listing is for handle only. Tumbler not included. 100% SATISFACTION GUARANTEED Youll be thrilled with your new handle. If for some reason you are not, well refund your money no questions asked!